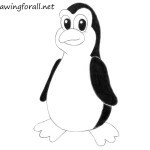 Hello, dear friends, and welcome to Drawingforall.net! 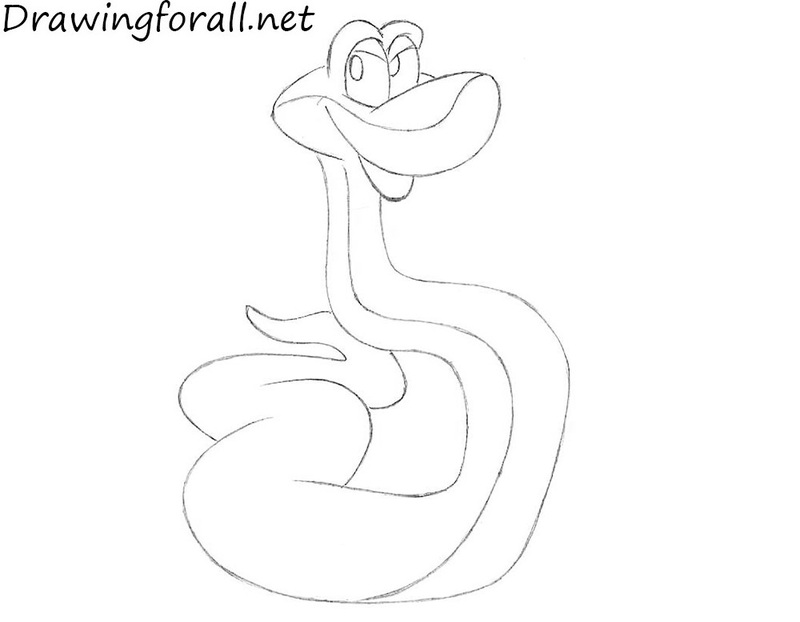 Today we have prepared for you a new drawing lesson specially for lovers of the Jungle Book and Disney – today we will draw Kaa from the Jungle Book. So, let’s start the lesson! 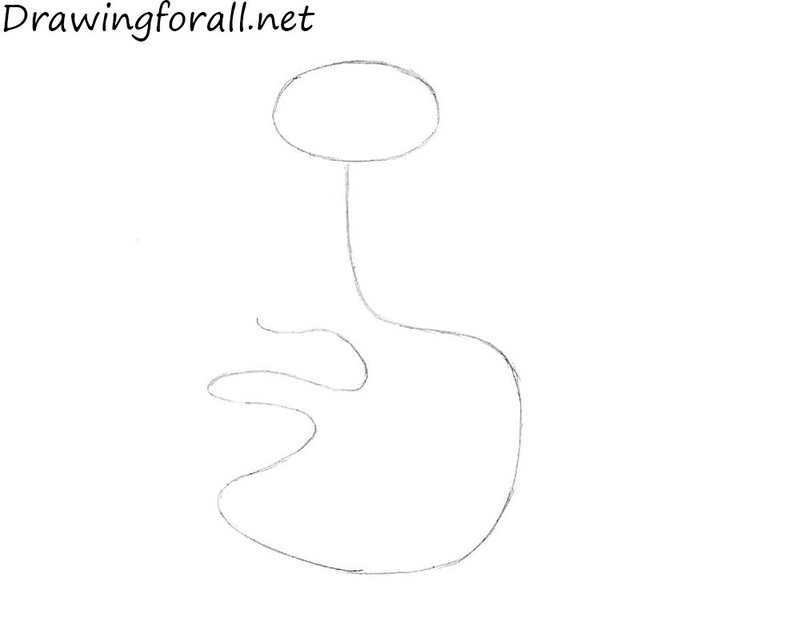 At first draw an oval draw an oval as a guide for the head. 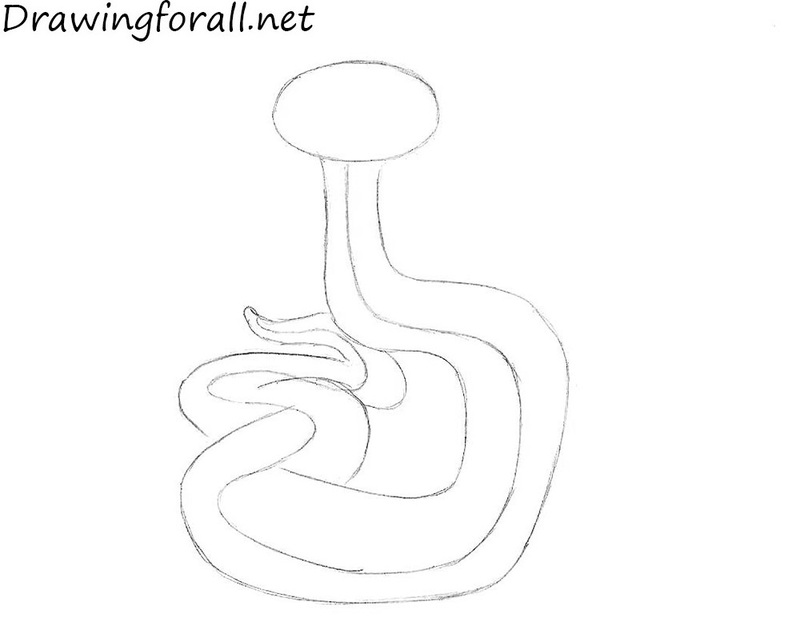 Using long and curved line draw the body of the snake (or the tail?). 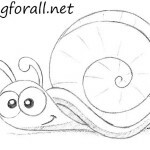 Use smooth and light lines for sketching. 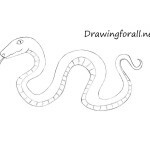 Draw the body of the snake as in our example. 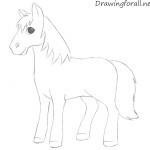 Draw the outlines of the snout as in our example. 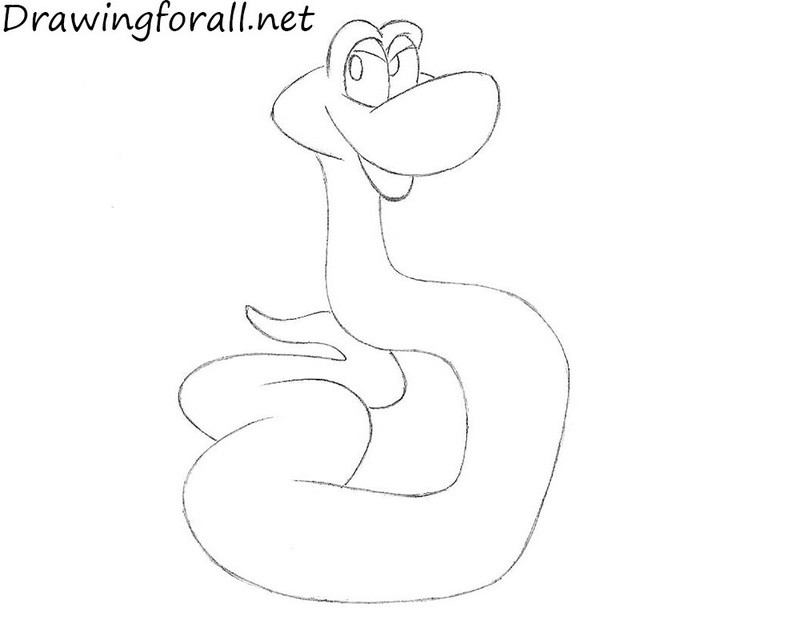 Draw the snout of the snake. 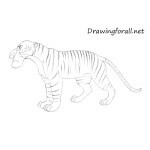 Using ovals draw the eyes. Erase the guidelines from the snake. Circle the lines to make them smooth and clean. Draw the line which goes from the nose to the tail. 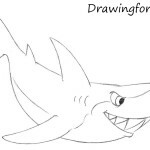 Using short lines draw the patterns on the snout and belly. 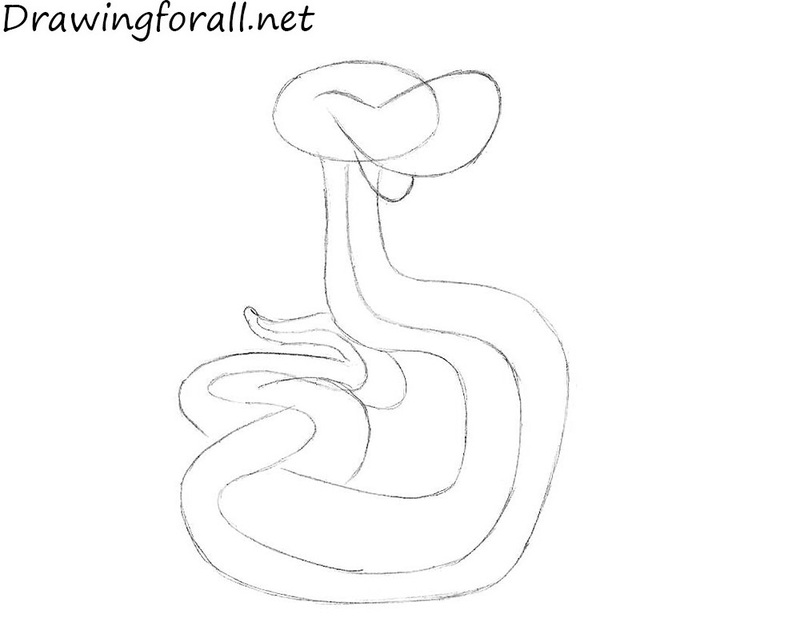 Draw the patterns on the back of the snake which become smaller to the tail (?). And don’t forget to draw the forked tongue. 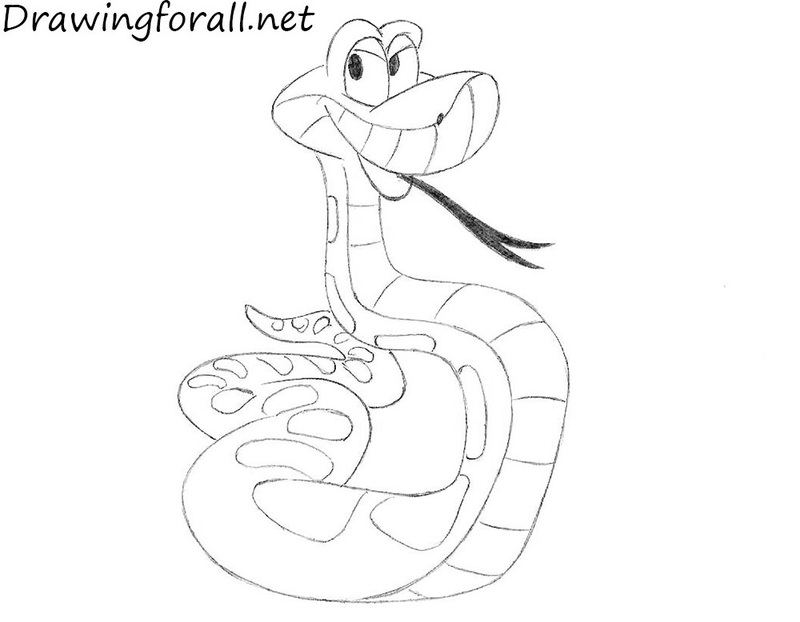 It was the drawing lesson about how to draw Kaa from the Jungle Book step by step. 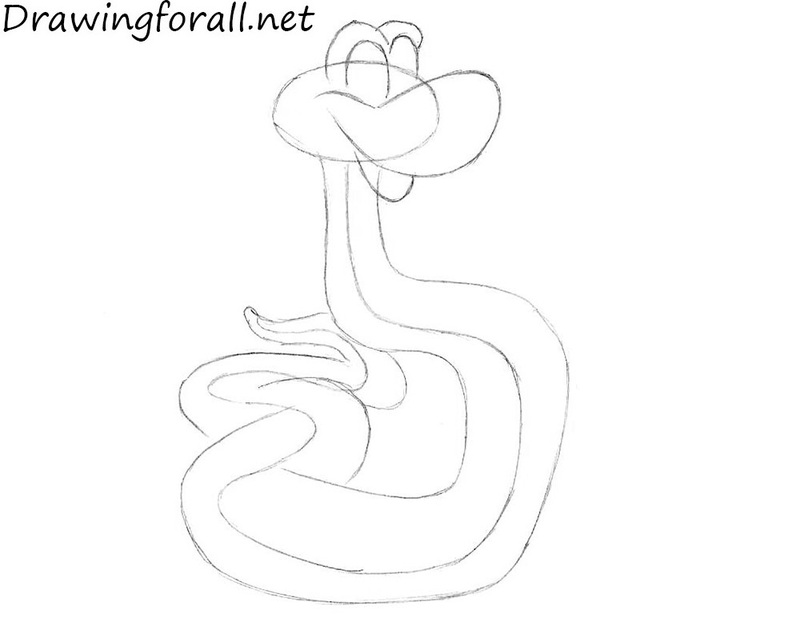 We hope this tutorial will help you to draw a cartoon snake as professional artists. Goodbye!